Minnesota! What a great place to live! We have been involved in the business of agriculture, business, insurance, investments and real estate for over thirty years and will use this experience in Working for You! Our agents believe honest, trustworthy relationships lead to good things and use this in meeting your needs in real estate transactions. Find your property's value right now! We have access to every listing in Minnesota and reciprocally every property we list is accessible by agents throughout the state! 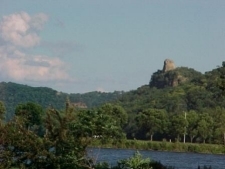 We look forward to representing you in your search for property not only in Winona, Rollingstone, Minnesota City, Lewiston, and Altura, but anywhere in the state! Contact any of us with any questions. Thank you!